Dario Masarotti and Antonietta Spizzo, Italian veterans of riding in Europe, are going even further afield! 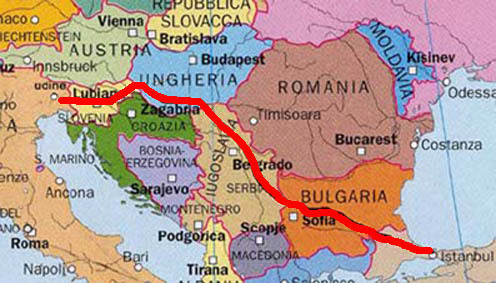 "We plan to ride across the Balkans and explore rather unknown countries like Serbia and Bulgaria and to reach the Aegean Sea in Greece and maybe ride also to Istanbul. 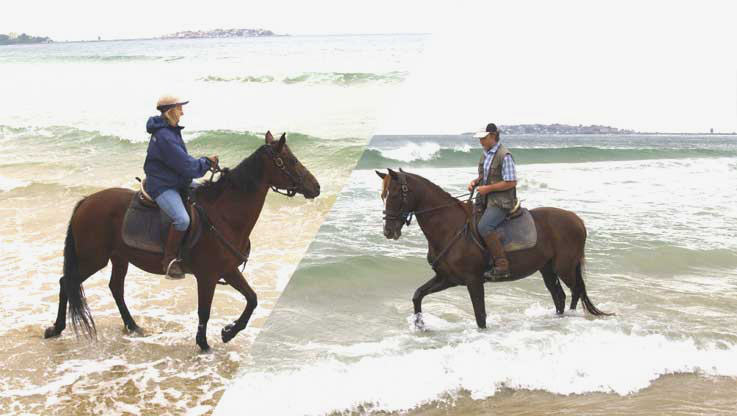 Since the sanitary rules of EU for coming back from Turkey are very strict, we think to ride with our own horses to the Aegean Sea in Greece to the Turkish border and then to hire two Turkish horses for the last 250 km. As usual we travel without any support by car, carrying all our baggage with us on the saddles, and we'll have this year for the first time an electric fence with us. We'll send regularly travel correspondence for an Italian newspaper, Il Nuovo FVG." 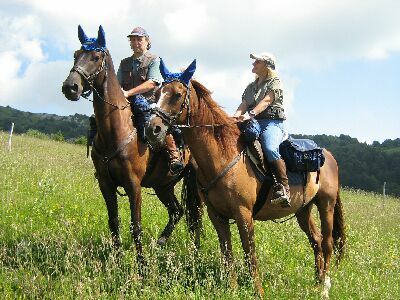 We wish this adventurous pair and their horses a safe and happy journey. Antonietta and Dario know more than most people about the problems of getting horses across borders - read Antonietta's Story from the Road - Across Europe on Horseback - Border Nightmares and Fairytale Hospitality! "Just a short e-mail to tell you that we are at home again end everything went very well. It has been a hard but very interesting journey. On Saturday 24th Sept we arrived home with our horses, having ridden across Slovenia, Hungary, Serbia and Bulgaria and came to the Black Sea in Nessebar (Bulgaria) - a total of about 2300 km. When we arrived in Bulgaria we gave up the idea of going to Greece and to Istanbul because we didn't feel like leaving our horses even for a few days just to ride 150 km in Turkey. We also found a very interesting path (actually the European long distance path E3) across the mountain Stara Planina and so we rode straight east to the Black Sea: it was strictly prohibited to ride on the beach but bad weather helped us and we managed to go into the water. I'll write you very soon with more details. Antonietta, Dario, Sebiba and Terek. Click on picture of the team in the Black Sea to enlarge it.